This camera is really simple. You can adjust the exposure and that’s about it. You turn it on, adjust the exposure and click! With my camera came two package of film. 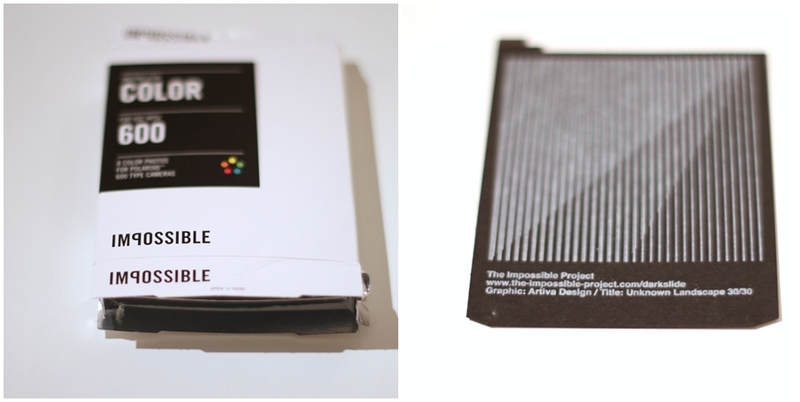 Each package contains 8 frames (the first package I’ve opened actually contained 10 frames!). The film is quite expensive. That makes you think really hard about what you want to shoot–it has to be something really special. You don’t want to waste frames on dull things. I took two test-shots at home. Without really knowing what to shot–it was dark outside and I desperately wanted to test it, so I shot a book about Springsteen I’m reading at the moment and a photo of Springsteen from an old calendar. Today I went out to try find something more interesting to shoot. The weather was lovely right when I stood up, but when I was ready to go the clouds had rolled in from the fjord and it didn’t take long before it started to drizzle–it wasn’t snow (that would’ve been awesome), but rain. Thankfully it didn’t rain too much and got a few lovely shots by the fjord. I love water and the open sea, so I had to shoot by the fjord. 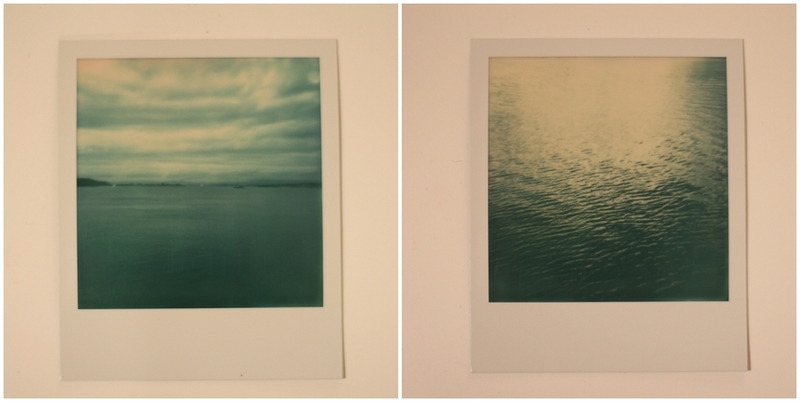 I don’t have a scanner yet, so I had to photograph my polas to show them here. My next purchase has to be a scanner! 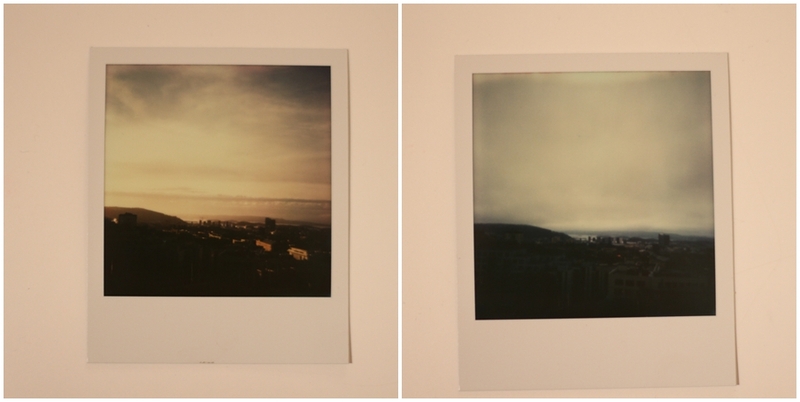 The colors of the photos are pretty close to the actual polas. 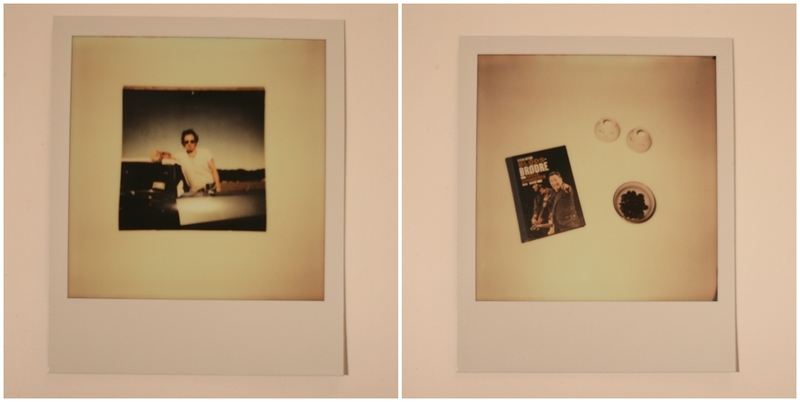 Oh, I just love the polaroid I got. It’s friggen awesome. I had to call my mum twice to tell her how happy I was about the camera dad and she gave me. I’m not sure what to do with the polas yet, but I think I will display some of them on my fridge. So what do you think? Do you love polas as much as I do? What do you think of my first atempts of handling the camera? 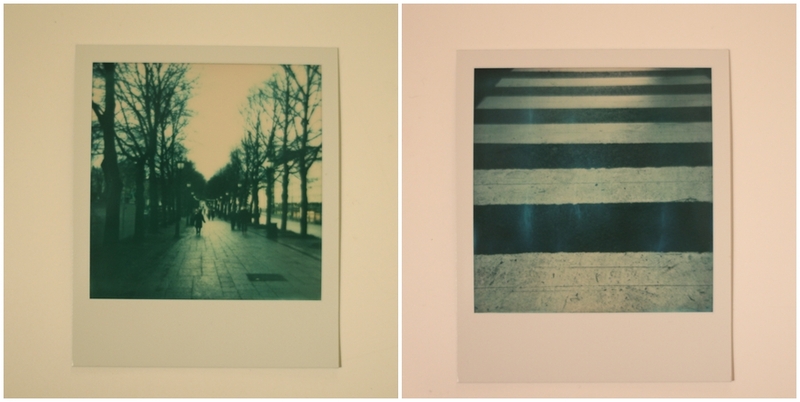 Not sure if I have the patience for a Polaroid anymore lol, but there is a beauty about them! I especially like the photo you took of the water and the sidewalk. I would probably even blow up the sidewalk image and hang it as a canvas in my room. Fantastic series of images and a great camera. I love Polaroid pictures! 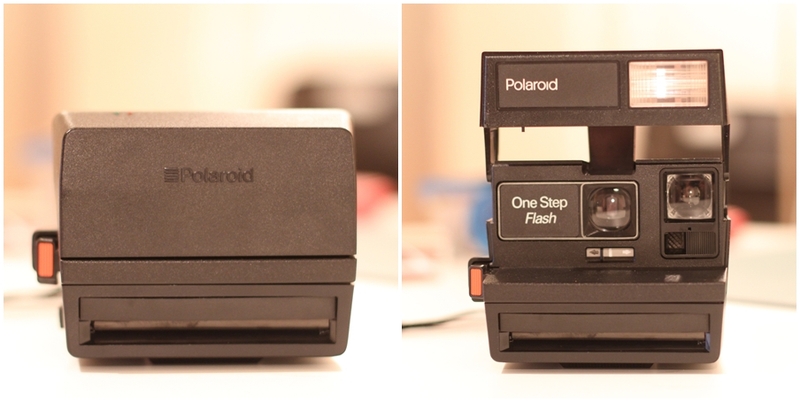 I actually have a ton of Polaroid cameras that I found at thrift stores. 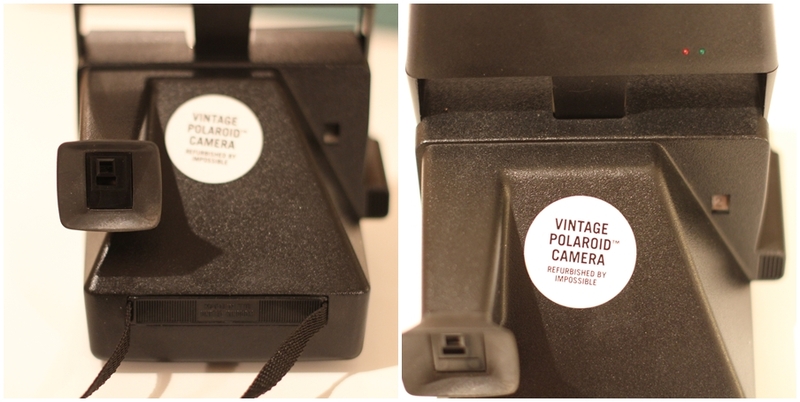 If you keep your battery cartridge from the film you used you can test out cameras before you buy them. 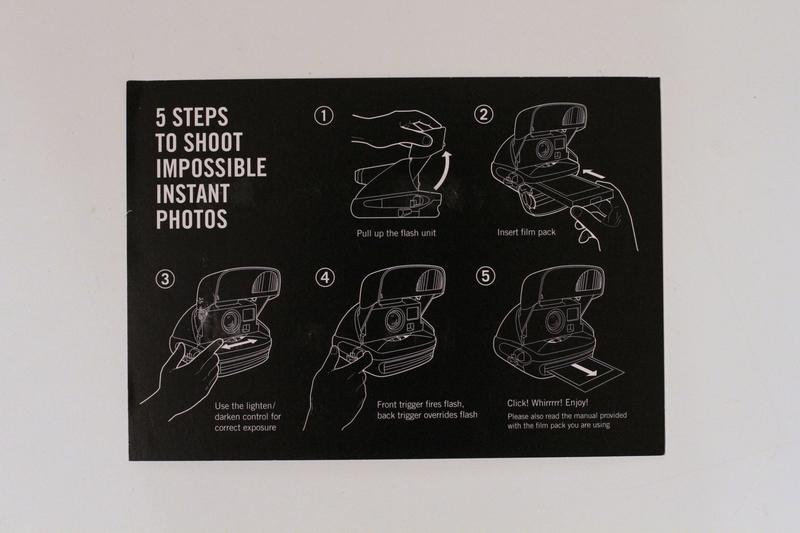 It may be cheaper than buying from the Impossible Project. Love this!! Someone recently gave me a polaroid camera and I’ve yet to buy the film, but I think this might have just been the inspiration I needed!